For fifteen years, RETA has run the Baby Bottle Boomerang. 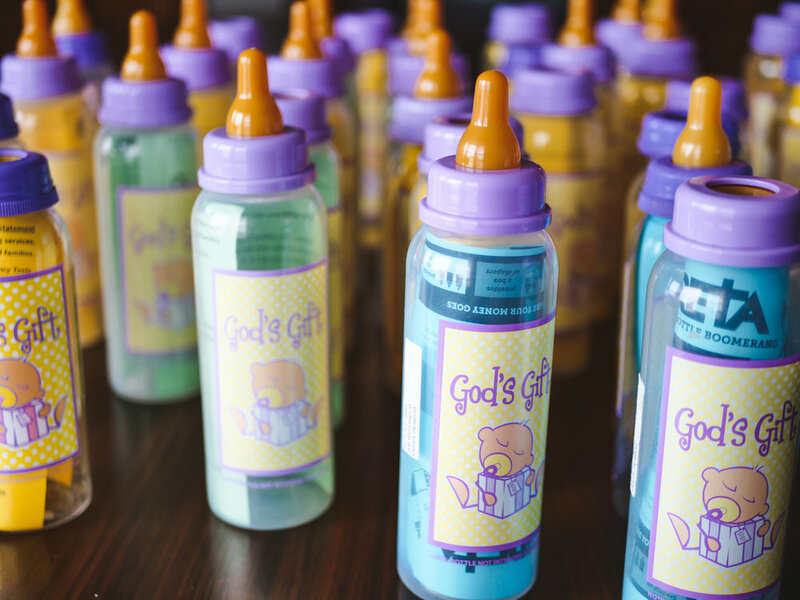 Baby Bottle Boomerang is a fundraising campaign that churches, service/student groups and businesses can participate in to help support the services RETA provides for our clients. Organizations can fill the bottles with cash, coins or checks. On average these bottles have raised $5,000 to $11,000 a year for RETA. Just ten bottles can raise $200! RETA's Executive Director, Roxana, has a goal for 2018 to raise $6,000 from the Baby Bottle Boomerang. 1. Contact us at reta@retaforlife.com or call us at 574-522-3888 and let us know you'd like to start a Baby Bottle Boomerang Campaign. 2. RETA will provide you with baby bottles that contain instructions. 3. You'll have one month to collect donations. 4. At the end of your month, return the bottles to RETA and we'll tell you how much you raised.